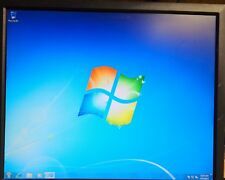 This is usually done by tapping F12 when you turn on your Dell and see the Dell logo with your disc in the DVD drive. 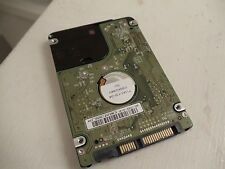 This 2.5" hard drive is a SATA drive. Dell Inspiron 1525 80GB Hard Drive with Windows 7 installed ready to install! Dell Inspiron 1525 80 GB HD hard drive with Windows 7 pro 64 bit installed and ready to use! Has all Dell Inspiron 1525 drivers installed! Hard drive pulled from a working system ! Ready to install! GENUINE DELL Inspiron 1525 1526 1545 1546 Hard Drive HDD Caddy Cover Bezel Tray --- Payment: · We accept DEBIT, CREDIT, & PAYPAL ---Shipping: · Free shipping · We ship it out 1-2 days after your payment have been completed ---Return Policy: · Please contact us for return items · 30 days warranty · Exchange on certain items Loc: : An ---A15K03 Store: · If you have any problems, don’t hesitate to contact us. We will reply to you within 24 hours. · We maintain a high standard of excellence & strive for 100% customer satisfaction. PLEASE contact us before giving your feedback! This way we can satisfy your concern~! · T H A N K Y O U ! [View more great items] (https://www.ebay.com/sch/quality.parts93/m.html). Dell Inspiron 1525 1526 1545. 1 Hard drive cover. Give us a chance to make things right for you, and we will do our best to provide a fitting solution. Type: Hard Drive Caddy / Tray. Fits model(s): Inspiron 1525 1526 1545 1546. Gw067 0gw067 xr733 m671j. Inspiron 1525 1526 1545 1546. 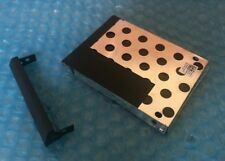 Hard drive caddy/cover/tray for DELL systems. Genuine OEM DELL. - Support: Aquamoon Trading does not provide technical support. Part Number Compatible Part Numbers. Lot of 10 Dell Inspiron 1525 1526 Hard Drive HDD Caddy Cover Bezel GW067. Dell Inspiron 1525. 20 x hard drive screws. Give us a chance to make things right for you, and we will do our best to provide a fitting solution. Black Hard Drive HDD Caddy Cover for Dell Inspiron 1525 1526 GW067. for Dell Inspiron 1545 1526. We might require you to send us photo/s of the item received and also your original item so we can compare and conduct necessary actions. DP/N: XR733. Inspiron 1525 1526 1545 1546 Hard Drive Caddy. Genuine Dell. Dell Inspiron 1525 160GB Hard Drive with Windows 7 installed ready to install! Dell Inspiron 1525 160 GB HD hard drive with Windows 7 pro 64 bit installed and ready to use! Has all Dell Inspiron 1525 drivers installed! Hard drive pulled from a working system ! Ready to install! Dell Inspiron 1525 320GB Hard Drive with Windows 7 installed ready to install! Has all Dell Inspiron 1525 drivers installed! Hard drive pulled from a working system ! Ready to install! This is for the hard drive only! Hard drive only! Tested and working. Computer components are pulled from working systems that have be thoroughly tested by an A certified technician. Model: for Inspiron 1525 1526 1545. 1 X Hard Drive Cover. Plug and play, easy to use. Modular construction, you can just remove the CD driver and put this in the slot. Quantity: 1 Set. Due to the difference between different monitors, the picture may not reflect the actual color of the item. Fits: Inspiron 1525 1526 1545 1546. Part Number: M671J GW067 tray XR733. Laptop Part Number. This is the fastest, most efficient and most Secure way to process your order. We encourage you to select one of the other services provided at CHECK-OUT, depending on how fast you need it. Type: Hard Drive Door Does NOT include screws. Condition: Used, may show signs of use or storage. We unlock BIOS & HARD-DRIVE password for all Dell laptop. Send us a photo with password appears and we will send you the password. After you receive the password In Laptop: enter a calculated password, then push Enter key. 1TB storage capacity. 8MB cache buffer. We are here to help. Matt 25:40. For rapid processing speed. 5400 rpm speed. For connecting to your computer. Low power consumption. Part Number: M671J GW067 tray XR733. Condition: U sed, Will show slight signs of use. Condition is New. 2TB storage capacity. Provides ample storage space for your music, movies and other files. DP # 0XR733. DELL INSPIRON 1525. Compatible : INSPIRON 1525. HARD DRIVE CADDY. GOOD CONDITION. P/N : GW067. 10 xDell Inspiron 1525 / 1526 Hard Drive Cover. Dell Inspiron 1526. Dell Inspiron 1525. 10pcs Hard Drive Cover. 20pcs Hard Drive Screws. Part Number - WT903. Hard Drive Caddy Tray.